As the title implies, this novel is centered on the far-flung travels of the narrator who is puzzling out her relationships and path in life without staying in one place too long. There are over 100 "chapters" in the book, some only a few sentences long, but they each identify with a particular place in the world. 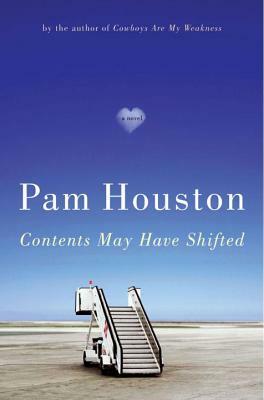 Houston's writing is concise and poetic and I came away feeling like I'd just read a quirky, less self-serving version of Eat, Pray, Love. At last, having found a new partner "who loves Don DeLillo and the NHL" and a daughter "who needs you to teach her to dive and to laugh at herself"--not to mention two dogs and two horses--"staying home becomes more of an option. Maybe.